Traditionally, a Doula was a woman offering non-medical support and information to other women and their partners during birth and the postnatal period. ‘Doula‘ is a Greek word that came to mean “woman’s servant”. I believe that a Doula is a support and information bank for anyone navigating their way through, not just the first breath but also the last. Birth and End of Life Doulas offer non-medical support and information through all life’s transitions. Overall, a Doula believes that the first and last breath is a rite of passage. A Doula is knowledgeable in comfort measures such as relaxation breathing, massage and positioning, managing labour sensations using water, hot packs and aromas. Doulas specialise in non-medical skills and do not perform clinical tasks, such as vaginal exams or foetal heart rate monitoring. Doulas do not diagnose medical conditions, offer second opinions, or give medical advice. There are a multitude of benefits to hiring a Doula but the biggest ones we see today are that Doulas are able to offer continuity of care and emotional support. Unfortunately, hospitals, where the vast majority of women in Australia will birth, are not designed to see you as an individual any more and staffing numbers and rostering make it difficult to build relationships and spend quality time with Midwives and Doctors. By meeting parents to be before the birth, we are able to build rapport, listen and validate fears and feelings and can help prepare women and their partners for the upcoming labour and birth and immediate postnatal period. Giving families an opportunity to be better informed, able to navigate the system, and to better clarify their wishes. 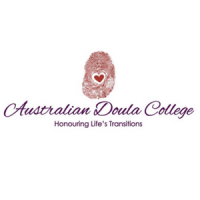 There have been several studies on Doula support, including one the Australian Doula College conducted on their student Doulas and it showed overwhelmingly that by having a Doula walking beside you on the journey to parenting hood, mums and their patrons reported having an overall better experience, even when the birth wasn’t quite what they had planned. At what stage of the pregnancy should you consider hiring a Doula? About midway through your pregnancy is a good time to start seeking out your Doula. You have past the first trimester and have made some choices on where and with whom who are having your baby with. This gives you time to find the right Doula and it works well for us Doulas as well. Of course, this can vary for some women who may have had a traumatic experience the first time around or a series of miscarriages for example. They may like to engage the Doula earlier on. This is, of course, fine and a Doula would tailor make a package to suit those women and see them more in the earlier stages of pregnancy. Good Doulas have a base package and will create packages to suit their client’s individual needs and circumstances. Do you suggest interviewing a doula? If so, what questions do you suggest to ask? It’s really important to interview your Doula. Not so important to have a structured list of questions. I often think people get bogged down in the questions and don’t allow themselves to let the conversation flow and see if the Doula’s personality is a ‘fit’ for them. Saying that its good to know where your Doula trained has she any testimonies and what other relevant qualifications she may have. A couple of good questions to ask yourself when interviewing a Doula would be “ Will I be comfortable being naked and being massaged by this woman”? “Do I get the feeling this Doula is there for my birth journey or she still sorting hers out? And ‘Do I think this Doula will work as a team with my partner and I and our primary care providers? If you can tick those three boxes I would say trust your guts. A Doula does not necessarily have to have had children herself to be an amazing support. What would you typically discuss in prenatal meetings with a doula? I personally do three prenatal visits once hired after an obligation free interview. These at-home sessions are to get to know each other and to build rapport. *How has their pregnancy been so far? *What kind of birth are they wanting? *Are they happy with the care they are receiving so far from their primary care providers/hospital? *Do they intend to have other support people or the baby’s siblings at the birth? *Have they attended or plan on attending childbirth education classes and who with? What other preparation are they doing at the moment – eg relaxation, affirmations? Do they feel they need any top-up information? *If it’s not their first birth experience, we talk about the previous birth and debrief that *What role does the dad/partner want to take? This helps to define my role as I would not like to take over from a hands-on willing dad/partner. I like to get women to identify their biggest fears and feelings around birthing and parenting and then I reassure them, hopefully, instil trust and confidence in both parents and remind them of my role and that they can contact me any time in the lead up to their estimated due date. How long do Doulas stay postpartum? A Doula will stay with you for a few hours post birth and Doulas should include a couple of postnatal visits in a base package. Some Doulas predominately offer support in the postnatal period and they can work with you and your baby for months after your baby has arrived as you want/need. Postnatal Doulas have set packages and can work on hourly rates. The Postnatal Doula role can vary according to a families needs, however, in general, we offer the all-important birth debrief, lighthouse duties, showing a mumma how to care for her baby, breast and bottle feeding education/support, help with siblings, guidance for dad/partner and some Doulas will prepare and/or cook a meal. Some postnatal Doulas will do sleepovers but above all your postnatal Doula should be encouraging. Can a birth Doula be male? This is a great question and I know there are a few births and postnatal male Doulas around. Personally, I don’t think the birth and postnatal doula role should be handed to men. There are so many men already in the arena of birth these days that I am not sure we need to add another layer of the masculine in via the Doula role. Dads can be a great support and of course as they helped to make the baby, their presence is called for in the room. They bring a whole different layer to the birth than the traditional role of a female support person.